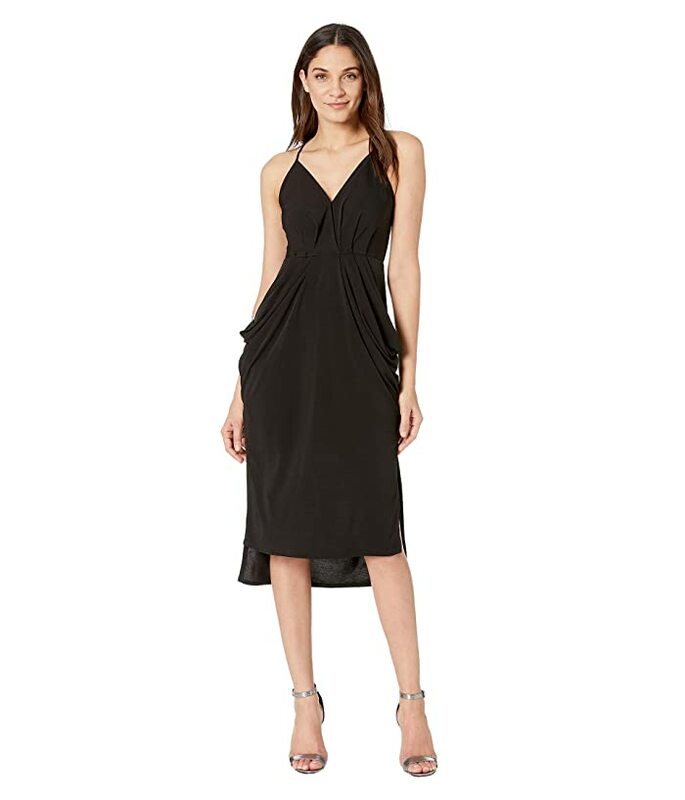 This BCBGeneration™ sleeveless midi dress is sure to break a lot of hearts. Pullover design with snap at front crossover. High-low hemline with side slit.